Thank you for your comment! 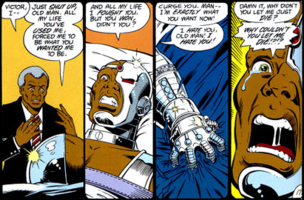 We have corrected how we described Cyborg's interaction with other characters. I think the argument for more representation of diverse voices still stands - especially as a response to Robert Jones Jr.'s original article. I absolutely LOVE that my essay started a dialogue that is continuing. I honestly didn't expect this sort of response, but I am grateful for it. Thank you for writing this, Randy!